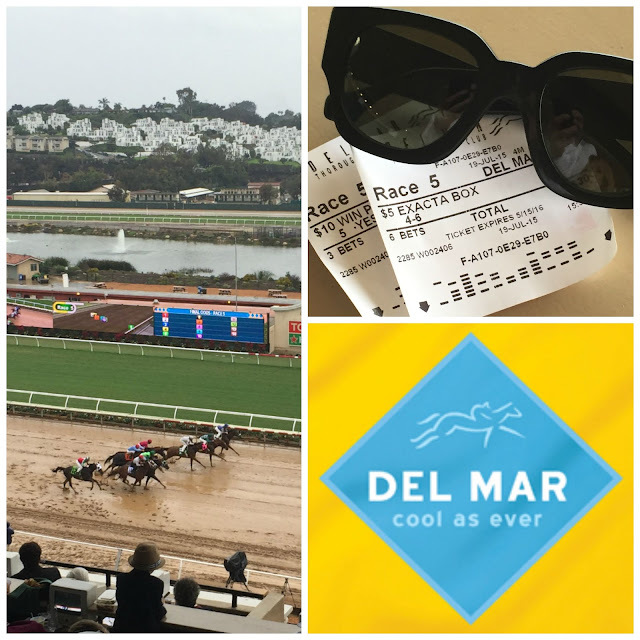 the del mar thoroughbred club is an iconic, old-school race track in north county san diego. with bing crosby being one of its visionaries and the out of this world location, it's understandable hollywood's "a-list" flocked behind him, making the seaside town a chic destination. it's a "been there forever" institution with a rat packy twist as well as my old stomping grounds. growing up in nearby rancho santa fe then into del mar after moving from my parents' home, the track was a summertime entertainment staple that i've enjoyed for as long as i can remember. living a couple hours away now, traffic willing, makes for a longer day but well worth the effort in my book. in other words, off to the races! p.s. it poured. buckets. cats and dogs. no kidding. never have i seen san diego weather like it in july before. 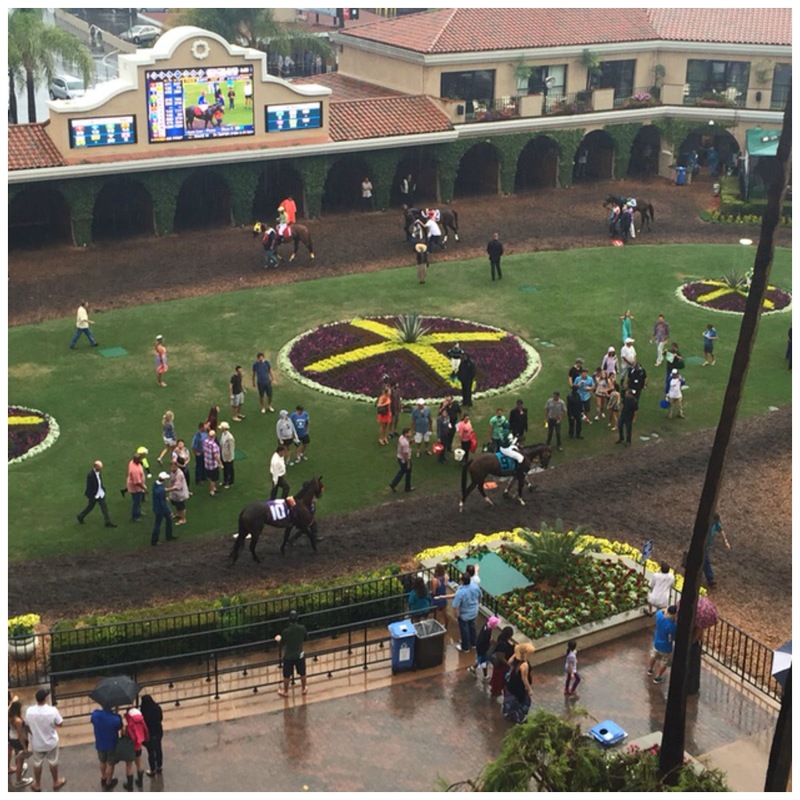 for drought-challenged californians, the rain was warmly welcomed. now if i could have just remembered how to pick mudders!